Hi Guys, wherever you are! First of all, I want to say “congratulation” because you find this digital page succesfully! 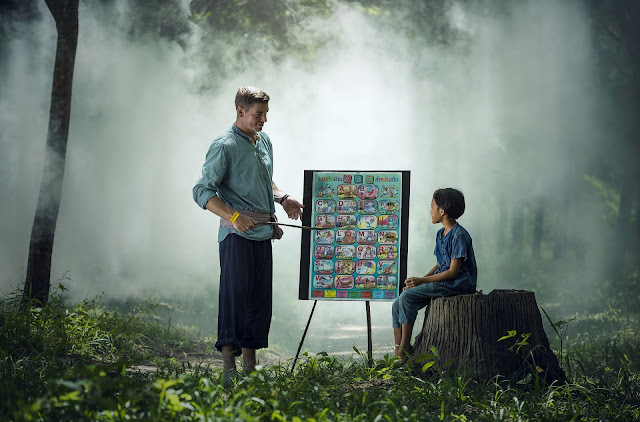 I am using this blog, especially in “DIARY OF LEARNING ENGLISH” page, you can find many English lessons, especially “Grammar and Writing” so we can learn together about how to use English correctly. DIARY OF LEARNING ENGLISH basically is my journal note when I learned English in 17 English Course Kampung Inggris Pare Kediri for several month. I hope my notes here will give benefits for you. At least, we can learn and repeat our English until we can think and use English in certain need. Honestly, I’m not an expert in English. I still need to practice more and more to improve my standard quality in many ways. But at least, my notes here will help me remind the lessons for practice more, and we can learn together in here at once. Furthermore, I used both English and Bahasa while I shared the contens here. From this way, I can write here happily (because my English Writing still bad) and we can feel comfortable to receive and accept the lessons. 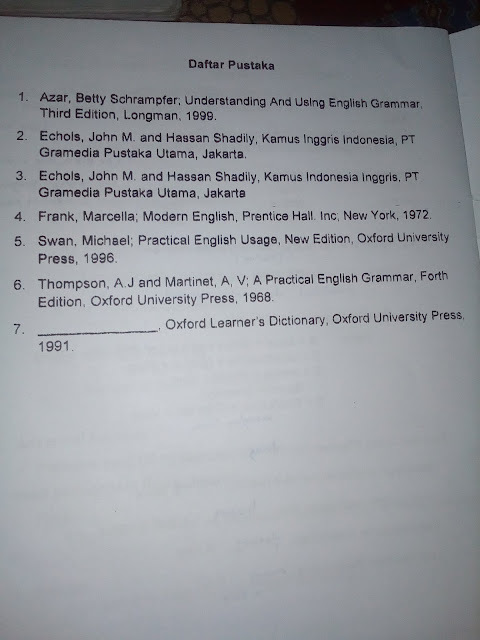 Berhubung otak saya segera pegal, mari sudahi saja prolog alakadarnya ini, dan mari kita segera memulai pelajaran Bahasa Inggris STEP BY STEP. Semua data dan materi yang disajikan dalam"Diary Of Learning English" merupakan kumpulan catatan saya ketika kursus di Pare. Catatan-catatan itu berasal dari serangkaian buku materi hasil olah data Tuan Bagus "Damar" Qomarudin. Maka, terima kasih yang banyak saya haturkan untuk beliau (meski dia tidak memintanya, apalagi membutuhkannya). Sejatinya, saya hanyalah seorang murid yang memindahkan catatan yang telah sebelumnya dia catat. Semoga dengan dituliskannya catatan ini di sini, ada manfaat yang bisa diterima oleh lebih banyak lagi pembaca. 0 Response to "DIARY OF LEARNING ENGLISH"